Many of us see the doctor for an annual check-up. Probably, even more of us have our car checked on a routine basis. Few of us take a holistic view of our financial health, particularly, on a routine basis. I encourage you to be an early adopter, change this, and become proactive with your financial health. For our physical health, our doctor might check our weight, blood pressure/pulse, LDL/HDL and then compares the findings to our initial baseline results. How are we going to know how we are doing unless we take the time to look? How are we going to tell if we are getting better if we don’t have an initial baseline to compare to? Review the Liability limits on your insurance policies (Homeowners, Renters, Auto, Business). Is the limit high enough to protect your Net Worth if something serious happened? You don’t want to leave your “assets” (money) exposed to risk of loss without making the conscious decision to do so. Cash Flow- Positive or Negative? Money coming in, money going out, and when? Is it steady through out the year or does it fluctuate? Are you spending more than you bring in? 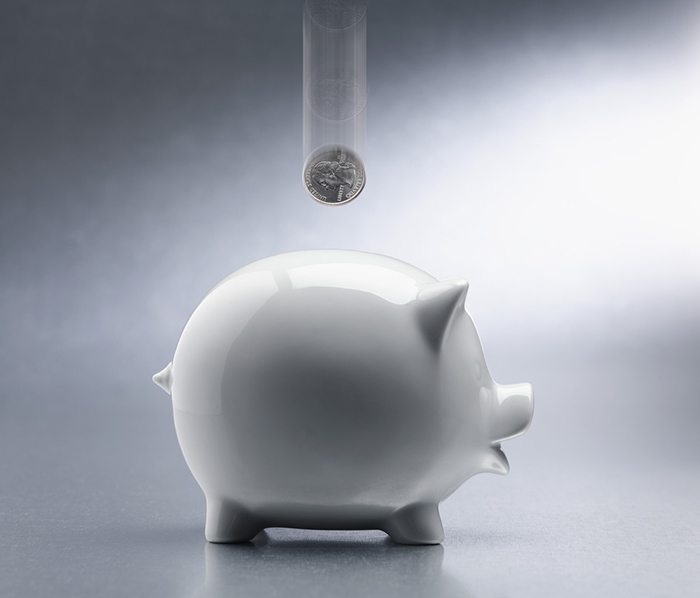 Emergency Fund savings for 3-6 months of living expenses? Any other “reserves” you keep – Christmas or vacation fund? Do you try to pay yourself first? Are “you” built into your required monthly expenses? Do you fully participate in your company’s matching program? Are you earning a return? The road to financial freedom is full of potholes. If you take the time to discover, find, and fix them, your trip will be less eventful and you will reach your destination faster & safer. May you have a safe, prosperous, and fulfilling journey. P.S. I welcome and encourage comments and questions. It is one way to see how I am doing. Deborah Ann Fox, CPA is working to make a difference in peoples lives by helping them build and protect their financial health. She offers free 30 minute, no obligation consultations and is available for appointments – including remote. More information is available at http://www.DeborahFoxCPA.com. Questions or comments can be sent to debfoxfinancial@gmail.com. To celebrate the beginning of April’s Financial Literacy month, I thought I would create a series of blogs about money & financial literacy. I am starting at the beginning, when kids are young & will continue through some of the older ages & stages of life. When my niece, Ali, was 4, she used to think money came out of a machine. It made sense, she saw her Mom do it. If you want something, you just go to the machine, get the money, & go to the store. If we don’t tell them any different, kids believe what they see – money comes from a machine. Kids learn from what they hear. Do you speak positively or negatively about money? Most of us know that kids are like little sponges & pick up on things they hear & sometimes they repeat us to our surprise (or shock): “We don’t answer the phone at our house, it might be a bill collector”. As adults, we need to be careful with our words. We also need to pay attention to other places that kids can learn by listening – TV, video games, radio, private & public places. In today’s digital world there are so many ways to educate our kids about money; we can play fun songs for them to hear and maybe learn. One of my favorites is Sammy Rabbit; hIs dream big campaign teaches great money habits for young children. You can learn more about Sammy at http://www.dreambigday.net or sammyrabbit.com. Kids also learn by what they do. Teaching kids to be financially successful in life should begin early. The Davidson Institute reports that money behavior habits can be formed by age 7. When we are young, it is hard to learn that we can’t have everything we want. Parents can help by creating incentives & providing rewards. Money earned or received can be divided into 3 groups – spend, save, give. Let them decide where to give. The concept of “budget” can be taught with things other than money; i.e. 1 sugary item per day – they choose when. I used to tell my son, Jason, if you want sugar on your cereal in the morning, then please don’t ask for a cookie or something else later on in the day. He frequently decided to wait because he did not know what other choices there might be later. Till this day, he still does not care for sugar much and he learned to wait for what he wants. He also works for it. If you want to teach your kids a little about saving money, tell them that one of the best things they can do with their money, is to save it. Start early & save often. Even a little bit saved, on a regular basis, can add up to much after time. It is like planting a seed and watching it grow. Money can do the same. A Chinese Proverb is “Learning is a treasure that will follows its owner everywhere”. Learning to make smart financial decisions when you are young will also benefit you for life. Have fun teaching & helping others learn to make smart financial decisions. Thanks for reading. Deborah Ann Fox, CPA is a financial literacy advocate who devotes part of her practice to helping others make smart financial decisions by providing education while building client skill levels. She is available for one on one, local, or remote appointments. Free 30 minute consultations.